2015 Road Trip Photos #45: The Twenty Dollar Man « Midlife Crisis Crossover! Anne takes her rightful place in the American economy just as soon as I’m appointed Secretary of All the Monies. But we’re cool with Hamilton keeping the $10 bill. Day 7. The grand finale of our 2015 road trip. All that stood between us and home was five hours and a handful of stops. We woke up in Nashville with one last to-do list before we’d let I-65 guide us home. We’d hoped to see a thing or two the evening before, but traffic coming into Tennessee on Day 6 had been stop-‘n’-go most of the way, made all the more disconcerting as we listened to radio reports of that day’s tragic shootings in Chattanooga, just a couple hours southeast of us. So we weren’t at our best on Friday morning. That buzz to keep seeking out new experiences was playing tug-‘o’-war with our yearning to return home to comfort and familiarity. First stop: following in the footsteps of President Andrew Jackson. Old Hickory. King Mob. The Hero of New Orleans. He tied our week together nicely. 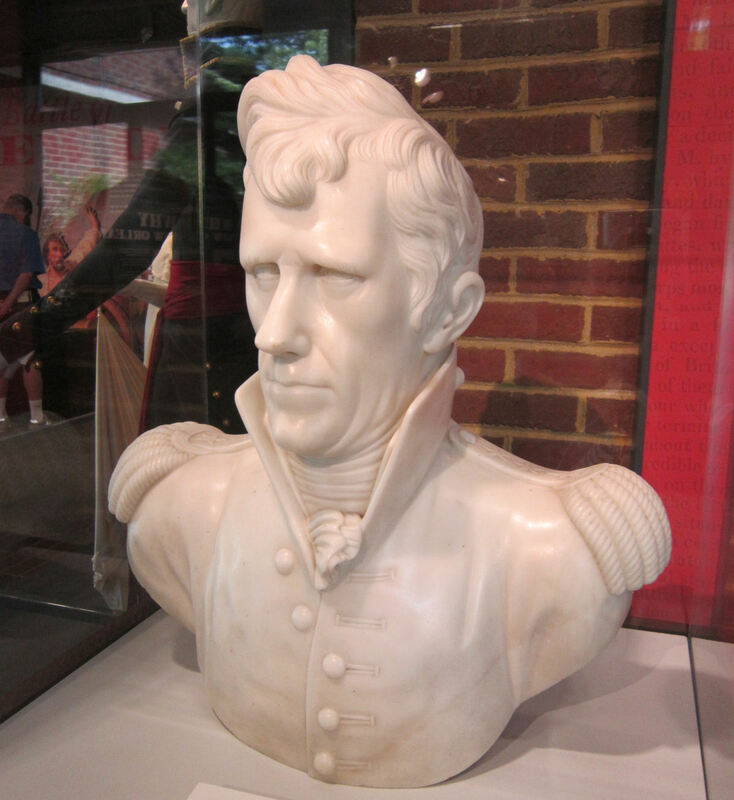 Andrew Jackson’s Hermitage is a former plantation and Presidential home/museum out in secluded woodlands east of downtown Nashville. Jackson bought the 1000+ acres in 1804 and lived there with his wife Rachel until his appointment as governor of future Florida circa 1818. After his two terms as President of the United States of America, he lived there only intermittently until his passing in 1845. A helpful volunteer took photos of us in front of this poster, but I look terrible in both, apparently less refreshed than I thought. 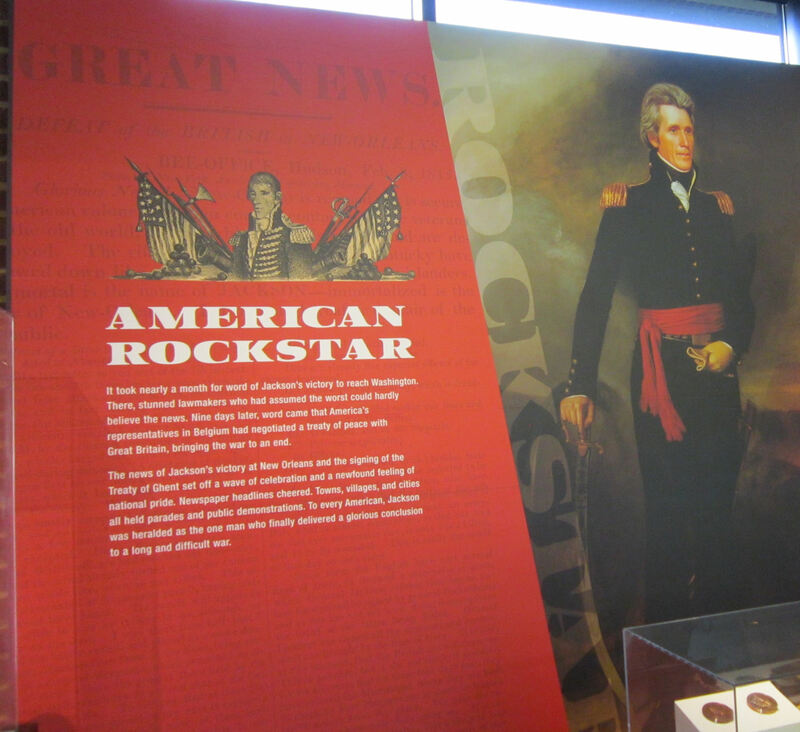 The Visitor Center is your primary Andrew Jackson museum space, with a variety of exhibits highlighting his history with assorted displays and memorabilia, from his days as a military commander to that time he ruled America to that time a bunch of scruffy fans partied too hard in the White House and gave him a bad name. Before our current crop of wishful disappointments in suits, there was this guy, war record and all. 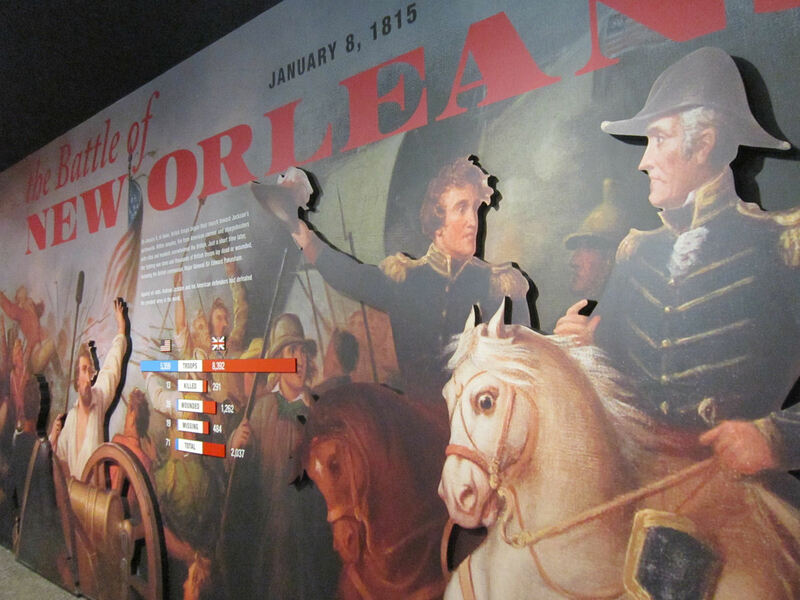 If you’ve been following along with this series, you’ve seen the names of both Andrew Jackson and the Battle of New Orleans in previous chapters. The Hermitage finally tied those plot strands together for us. A terra cotta bust of the man whose followers would establish what went on to become the Democratic Party. 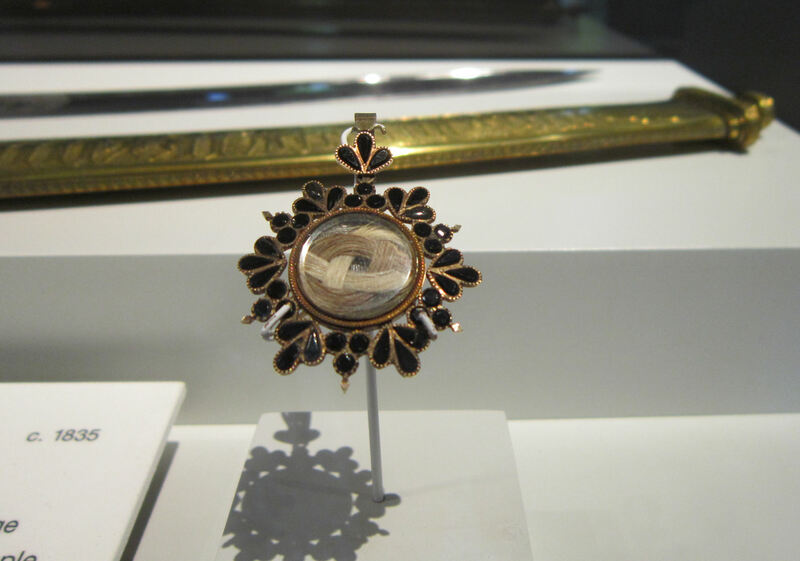 A keepsake for the true superfans: a locket containing locks of Jackson’s actual hair. 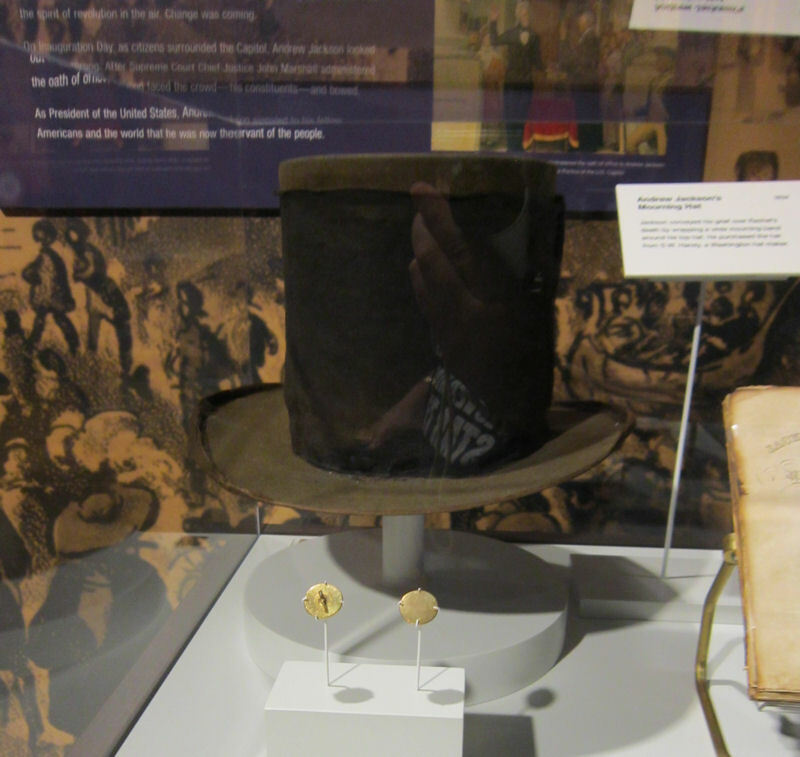 Jackson’s mourning hat from his wife Rachel’s funeral service. Also, some random political buttons. 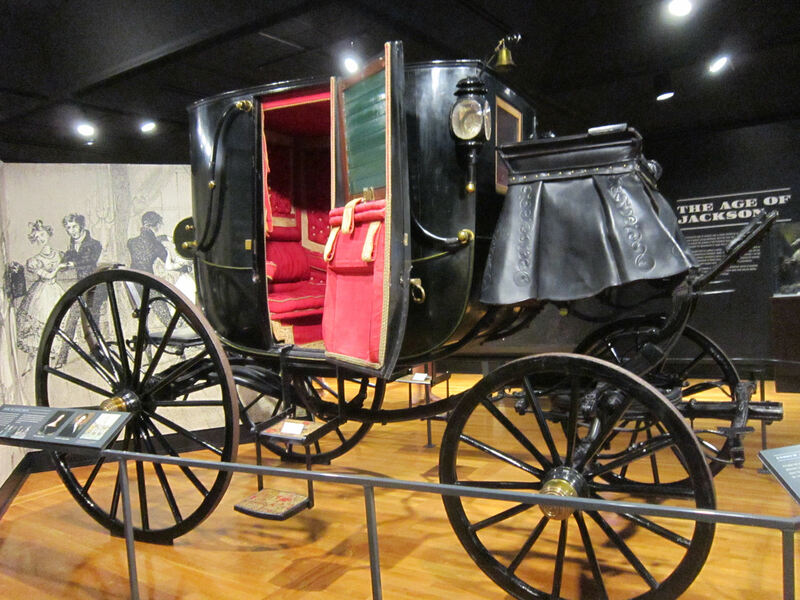 Because every fully accredited Presidential museum has to contain at least one (1) complete vehicle. The Visitor Center is only the beginning of your Hermitage experience. Out the back door, paths lead to various parts of the plantation and grounds, which have been a government-owned tourist attraction since the 1890s. 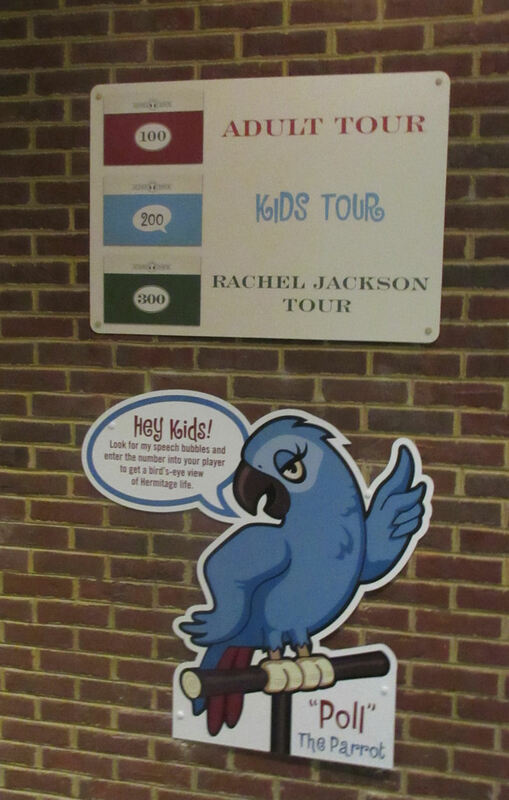 Three different audio tours are available: one with your usual history guy; one focusing on Rachel Jackson and narrated by a woman; and one for kids starring a wacky educational mascot named Poll, an African Grey parrot named after Jackson’s own. The original Poll learned numerous bad words from its owner and had to be removed from his funeral for causing an obscene disturbance. True story. 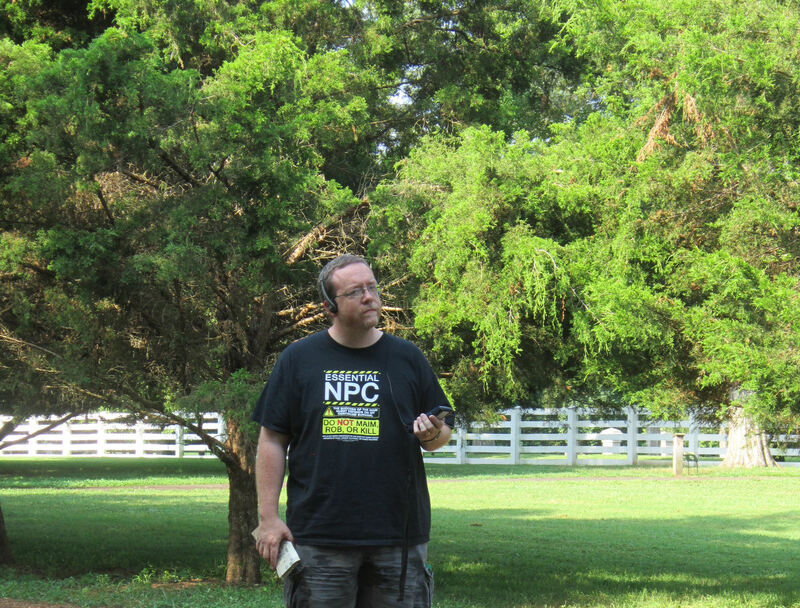 Me walking the grounds and listening to simple yet revealing lessons from Poll’s 21st-century all-ages reboot version. 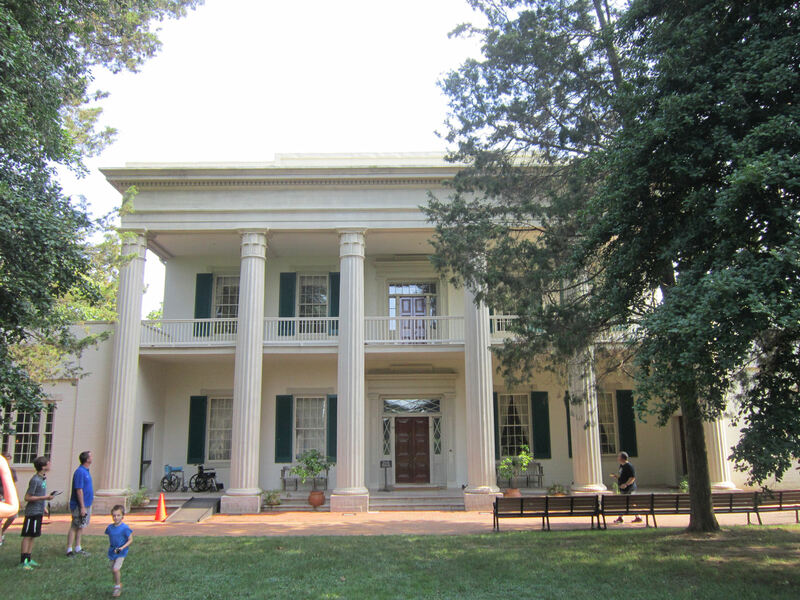 At the center of the Hermitage is the Jackson family mansion, built in 1836 in Greek Revival style two years after the original plain-Jane domicile suffered a fire. Anne the history buff wanted to do the general tour, skipping the longer options as a compromise. Unfortunately the house tour is one of those understandable NO PHOTOS affairs that interfere with our sharing impulses. Fourteen rooms, 8000 square feet, lots of old furniture — not unlike Beauvoir to an extent. Best interior feature: large wallpaper murals of that time Telemachus met the nymph Calypso during the exhaustive search for his father Odysseus. Pretty cool, but susceptible to light damage or something. 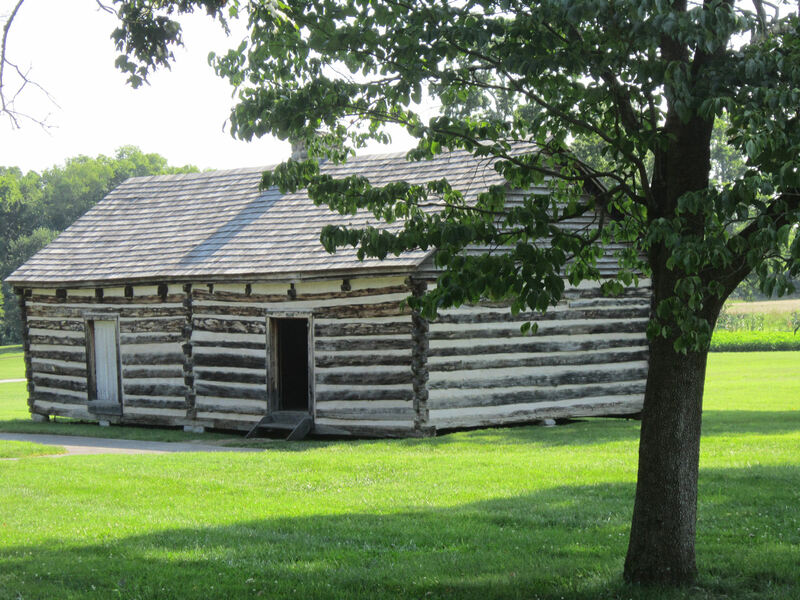 Long walks around the rest of the campus will bring you to other structures and features, such as the cabin where once lived “Uncle Alfred” Jackson, one of the Hermitage’s most prestigious slaves. He was born into slavery there. 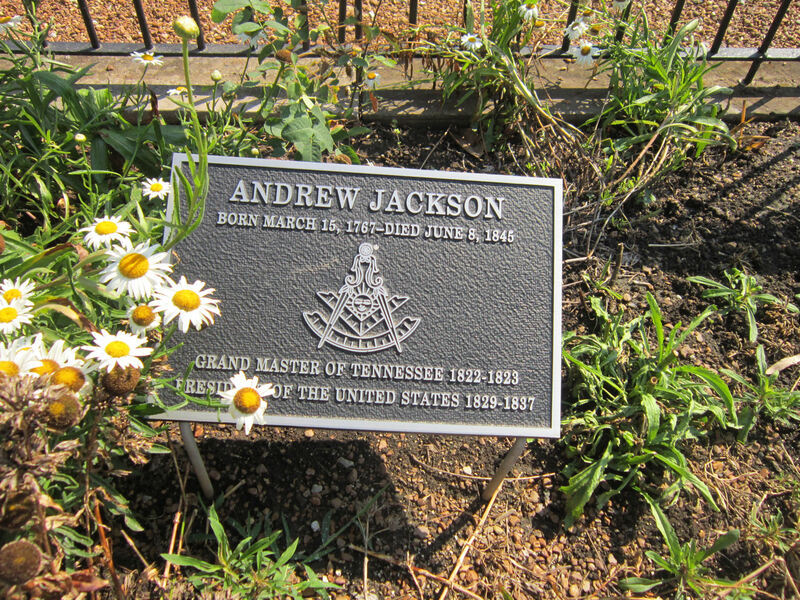 He was among the few who stuck around to continue serving Jackson’s descendants after the Civil War. 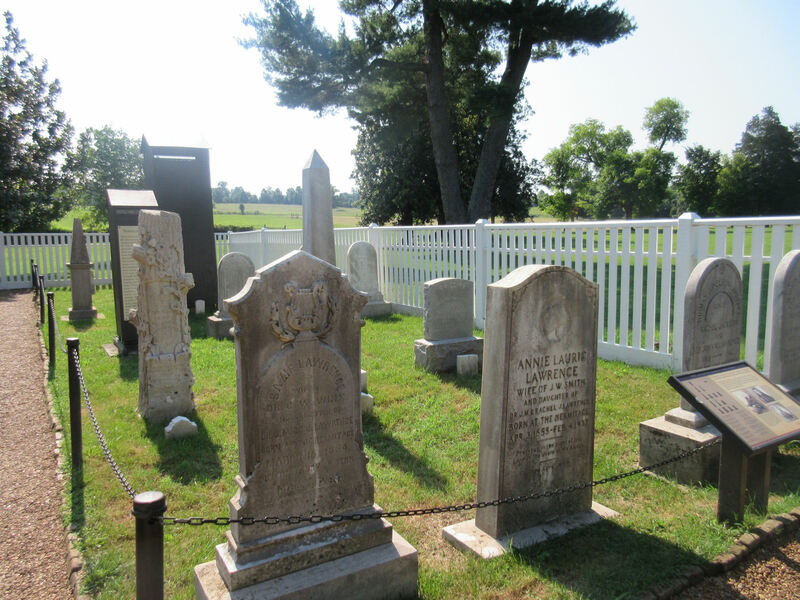 He was the first curator and docent once the family was booted and it opened to the public as a roadside attraction. He ultimately spent his entire life there until his passing in 1901. Maybe not as glamorous as Lee Daniels’ The Butler, but quite a life nonetheless. The southeast corner of the Hermitage is Rachel’s garden, alive to this day with flora descended from the original flowers that flourished there during Rachel’s lifespan. 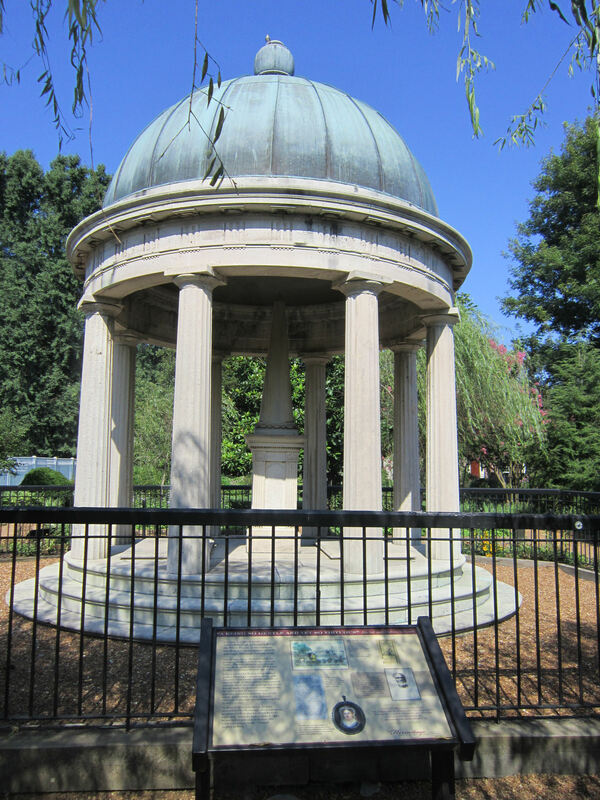 Today it’s also the official Andrew Jackson Presidential burial site. The bars are tough to shoot through, forcing guests to resort to awkward angles or standing on each other’s shoulders. This was the least worst of several attempts to capture the tombs. 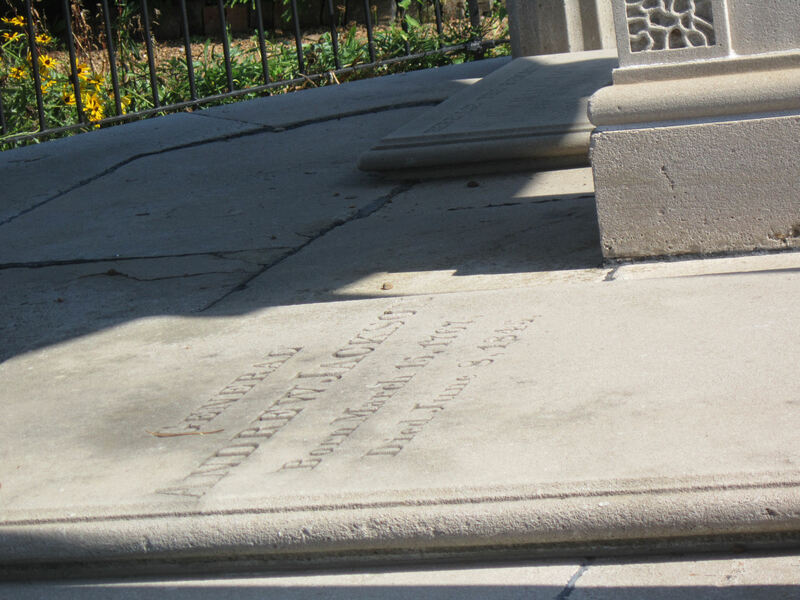 Rachel passed away in 1828 while Jackson was still in office. The architect he commissioned designed their domed crypt after a building seen in the aforementioned Telemachus wallpaper. Small plot of additional final resting places nearby. * The family owned pigs as big as motorcycles. * Jackson once had a horse named Sam Patch, named after a guy who jumped Niagara Falls. * Sample quote from my personal cartoon tour guide Poll, discussing the Hermitage’s cotton fields: “Most people today never think that their underwear started as a plant!” Good luck finding an honest schoolteacher willing to go in-depth like this. * Jackson sometimes fueled his lamps with whale oil, which at the time ran $2.50 per gallon, the same price as five acres of land. 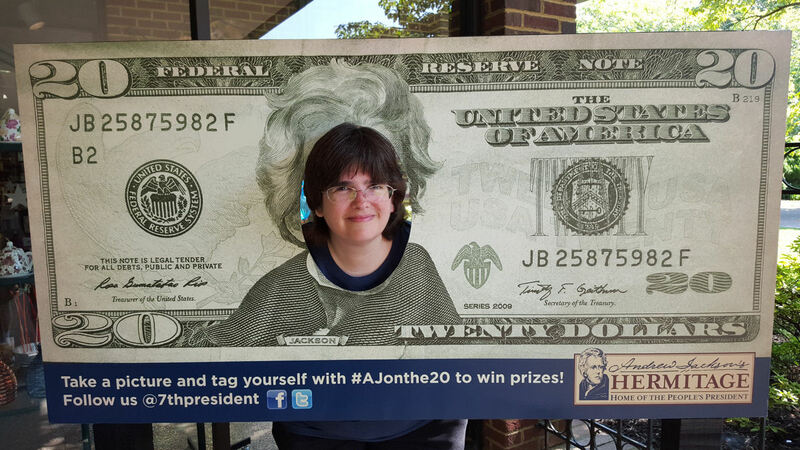 I couldn’t find any modern websites that would sell me a gallon of whale oil, so I have no idea how many Andrew Jackson $20 bills you’d need to buy some today. « Happy Easter from MCC! Totally worth it! They give you a map of the grounds with codes to punch into the audio-player for all three tours, so you can play whatever you want, whenever you want. 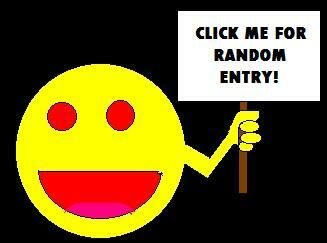 I tried a few entries for Historian Guy and The Woman, but Poll was just more fun. 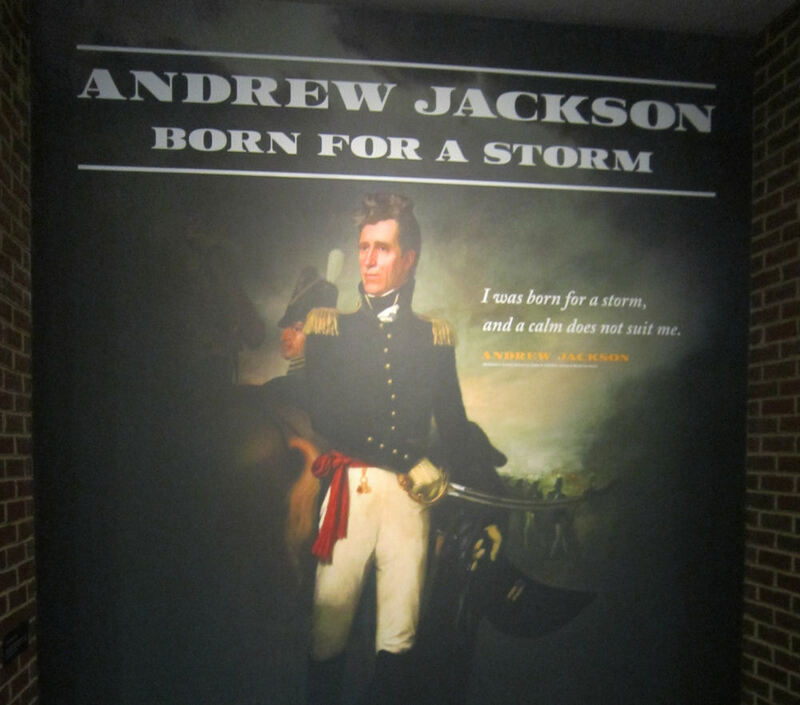 For anyone who’s not already an Andrew Jackson scholar, the facts and stories he told were just as informative to me. And he had more sound effects than the other two! In fact, I enjoyed him so much, whenever we were walking from one hot-spot to the next, I began playing Poll tracks for some of the spots I knew we wouldn’t have time to visit, just so I could enjoy him all the more. Because that is audio-touring done right.